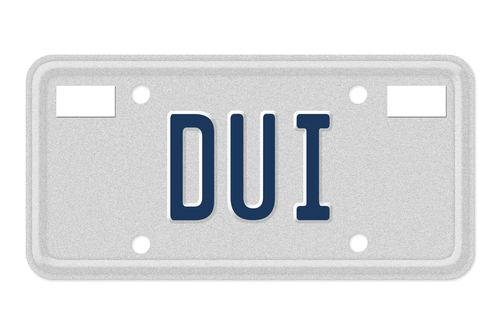 In Texas, a typical drunk driving charge is properly called “DWI,” which stands for Driving while Intoxicated. 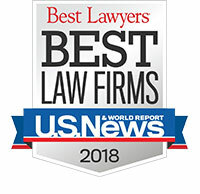 A minor under age 21, who is arrested for driving with any detectable amount of alcohol in the driver’s system, may be charged with “DUI Minor.” However, if you’re searching for the best defense attorney in Texas to fight a drunk driving charge, you probably found this page by searching for an attorney. In this page when we refer to DUI, we’ll be talking about Driving while Intoxicated. Waking up to face serious charges is never anyone’s finest moment. There are a number of different DUI charges, any one of which can have a lasting, catastrophic affect on your life. A DUI conviction can result in a jail sentence, loss of your driver’s license and can wreck your chances of employment or attending the college, university or graduate school of your choice. In Texas, driving under the influence of alcohol, drugs or other intoxicating substance is commonly abbreviated to DUI, even though the correct legal abbreviation is DWI. In many other states, the same crime is called driving while intoxicated (DWI), operating while intoxicated (OWI) or operating under the influence (OUI). Individual states may also differ in the penalties levied for offenses. Conviction of any level of offense (other than DUI minor) can wreak havoc on your finances. The fine for a typical drunk driving first offense is up to $2,000. The fine for a second offense or a breath or blood test of .15 or greater is up to $4,000. Felony intoxication offenses carry fines of up to $10,000. Not to mention, a conviction could cost you significantly more money for automobile insurance, as well as anywhere from $1,000 – $2,000 in annual fees for driver’s license reinstatement for up to three years. Depending on the type of offense for which you have been arrested, you may also be facing a jail or prison sentence of anywhere from 72 hours to 10 years or more. Thankfully, there is a glimmer of light at the end of the tunnel. Being arrested on one type of DUI charge or another does not necessarily mean you will be convicted. In fact, if you have been arrested for driving while under the influence of alcohol or another type of violation, you have the right to contest the suspension of your license. An experienced attorney can help you fight every, single aspect of the arrest and possibly avoid being convicted. Our goal at Scheiner Law Group, P.C. is a dismissal or acquittal of every DUI charge. You or your lawyer should apply right away for an administrative hearing. The deadline for application is normally 15 days after your arrest. If you received a “Notice of Suspension/Temporary Driving Permit” after your arrest, you will find important information about Administrative License Revocation hearing and how to request it, at the bottom of the document. While a first offense is normally prosecuted as a misdemeanor, being charged with this type of DUI will kick off two separate legal actions. The first is an administrative action to decide on the suspension of your license. This is the action that normally carries the 15-day deadline to apply for an administrative hearing. The second action, of course, is a criminal case. A third or subsequent offense will normally be charged as a felony. Conviction can result in loss of your driver’s license for up to two years, a fine of up to $10,000 and imprisonment for 2-10 years.  An arrest when there is a child under the age of 15 in the car. This can escalate even a first arrest from a misdemeanor to a felony.  Intoxication Assault – This type of charge means that an individual operated a motor vehicle in a public place, while intoxicated, and caused the serious bodily injury of another person.  Intoxication Manslaughter – This type of charge is a second degree felony. This type of DUI offense carries very serious penalties. If you are charged with any type of DUI offense, the first thing you should do is retain excellent legal counsel. Law enforcement officers do not always do everything right in the course of every arrest. When mistakes are made, you should not have your life ruined. An experienced attorney can look at your case and potentially find mistakes or illegal police behavior that could result in the dismissal of your case.